SEVENTEEN BOOKS have been longlisted for the 2008 Independent Foreign Fiction Prize. By the end of February 2008, six books will be shortlisted from this treasure trove of literary fiction from all over the world. The winner will be announced at an awards ceremony in London on May 8, 2008. 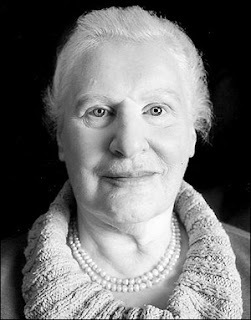 DUNDEE-born novelist and short-story writer A.L. 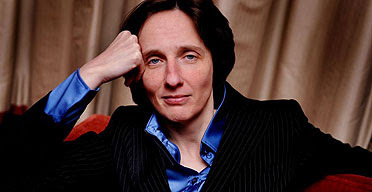 Kennedy has been adjudged the overall winner of the 2007 Costa Book Award with her fifth novel, Day (Jonathan Cape, 2007). The same novel has also been shortlisted for the Clare Maclean Prize, a brand-new award given to the Scottish writer who has written the best novel in the previous year. However, she is up against some stiff competition from former Whitbread winners Ali Smith for Girl Meets Boy (Canongate, 2007) and Alasdair Gray for Old Men in Love (Bloomsbury, 2007). 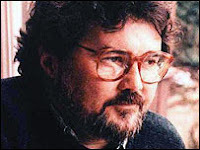 Other writers in the running for the same prize include Iain Banks for The Steep Approach to Garbadale (Little, Brown, 2007), John Burnside for The Devil’s Footprint (Jonathan Cape, 2007) and Dan Rhodes for Gold (Canongate, 2007). MPH Breakfast Club with ... Tunku Halim & Xeus & Co. 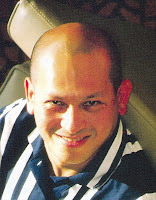 The 11th MPH Breakfast Club on Saturday, January 26, 2008, will be featuring the Malaysian Prince of Darkness, Tunku Halim, whose collection of ghostly tales, 44 Cemetery Road: The Best of Tunku Halim (MPH Group Publishing, 2007), was published in May 2007. 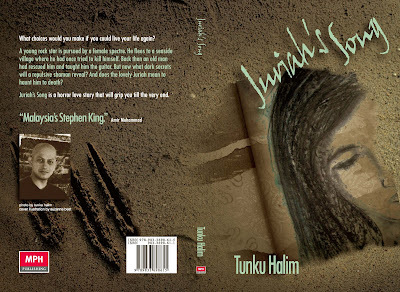 Touted as Malaysia’s very own Stephen King, Halim, who is equally adept at both fiction and nonfiction, had another collection of new and selected stories out, Gravedigger’s Kiss: More of Tunku Halim (MPH Group Publishing, 2007) in October 2007, while a novella, Juriah’s Song (MPH Group Publishing, 2008), was released in January 2008. Dark City (Midnight Press, 2006) author Xeus is back with Dark City 2 (Midnight Press, 2008), this time as the editor of a brand-new collection of more stories that exposes the murkiness that lurks beneath life’s apparent ordinariness. Besides doing editorial duties for this collection, I believe she has two stories tucked into it as well. There are stories by Lydia Teh, Tunku Halim, John Ling, Bissme S., Jennifer Wan, Chuah Kok Yee and a host of others as well. Eric Forbes will be introducing Tunku Halim and Xeus while Janet Tay will be moderating the session. THE YEAR 2007 belongs to poet Sean O’Brien. 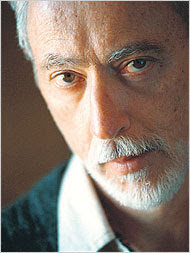 In October 2007, he won the 2007 Forward Poetry Prize for Best Collection, his third win. O’Brien has also won the 2007 T.S. Eliot Prize for Poetry with his latest collection, The Drowned Book (Picador, 2007), it was announced on January 14, 2008, beating off stiff competition from Edwin Morgan’s A Book of Lives (Carcanet, 2007) and Fiona Sampson’s Common Prayer (Carcanet, 2007). O’Brien now holds the distinction of being the first poet to have won the U.K.’s two premier poetry prizes in a single year. 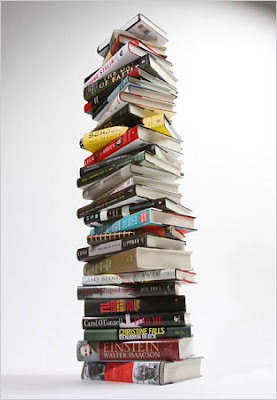 THE FINALISTS for the 2007 National Book Critics Circle Award were announced in San Francisco on Saturday, January 12, 2008. The latest book by Nobel and Booker Prize winner J.M. Coetzee fascinates and confounds with an experimental style that is difficult to access but that rewards a little effort. I DISCOVERED J.M. 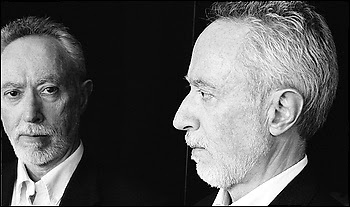 Coetzee at a book warehouse sale a few years ago. Vaguely remembering him as “that South African Nobel Prize winner” (for literature in 2003), I picked up In the Heart of the Country (1977) mainly because of the RM9 price tag. Then the book sat forgotten in my unread pile until I grabbed it before I left for the airport one day—and ended up being totally mesmerised. I’d discovered Coetzee rather late, considering his first book, Dusklands, had been published in 1974. But after that day at the airport, I went on a determined search and have since read most of his novels. My favourites, in order of preference, are the Booker Prize-winning Disgrace (1999), Waiting for the Barbarians (1980), The Master of Petersburg (1994) and Life and Times of Michael K (which also won the Booker Prize in 1983). I have a particular fondness for Disgrace, which is about a university lecturer who, disgraced after his seduction of a student is discovered, goes to live down the furore on his daughter’s farm and experiences life-changing events. I would also highly recommend Waiting for the Barbarians; by setting this story in an imaginary, nameless Empire, Coetzee approaches South Africa’s racial issues from a fresh perspective and offers a vivid allegory of what it is to live with oppression. I have often thought that Waiting for the Barbarians should have won the Booker Prize instead of Life and Times of Michael K, but then, these things are often a matter of timing. I found his last book, Slow Man (2005), a little disappointing. It starts promisingly enough with the familiar, concise Coetzee narrative, this time about a solitary man who is incapacitated after a biking accident and falls in love with his carer. Unfortunately, into the middle of this narrative saunters the character Elizabeth Costello, who is the protagonist of Coetzee’s previous book, Elizabeth Costello (2003) and who is often said to be Coetzee’s alter ego. She traipses incongruously through Slow Man and muddles what I thought could have otherwise been an effective story. Coetzee, a professor of English literature, has always been bold in experimenting with style; while this might not always make for fun reading, it proffers a wealth of material for literary study and research! And, if you make the effort, food for thought for the lay lover of fiction, too. The top third of each page contains the intellectual pondering of a 72-year-old protagonist who remains mostly nameless and undefined—we know only that he is Australian, his initials are J.C. and that his first name might be Juan. J.C. writes about current affairs, philosophy, music, politics, a wide range of subjects, that form the manuscript of his forthcoming book entitled Strong Opinions. In the middle of each page are J.C.’s emotive outpourings, mainly private thoughts about Anya, a young woman with whom he is infatuated. And at the bottom are Anya’s thoughts and her view of conversations with J.C. and her boyfriend, Alan. As J.C. trudges through what he feels are his last years, he finds solace in Anya and convinces her to help him type his manuscript in a bid to become closer to her. Meanwhile, Anya develops some feelings for J.C. while Alan, an investment consultant, walks a tightrope between cold logic and morality. This is Coetzee’s latest novel, Diary of a Bad Year (2007). I cannot deny that it’s tempting to laud every book Coetzee writes because of the esteem in which I hold his previous novels. When you find an author that you like, who truly touches you with universal truths, you cannot help but be biased. Is Davies’s comment fair, then? I think it’s too much of a sweeping statement to be a well-informed judgment on Diary of a Bad Year (and just as unsubstantial as the debate on whether Ian McEwan’s shortlisted 2007 book, On Chesil Beach, is too short to be a novel). Coeztee’s tendency not to impose an authorial presence often arouses interest the moment there is any hint of confession in his novels that implies he is sharing his own thoughts. Perhaps this is why Coetzee famously dislikes interviews or questions about his novels—he probably figures that his answers are there to be found if you look hard enough at his work and require no further elaboration. It may seem a little distracting at first to read three seemingly separate narratives on each page, but these narratives do converge, albeit in a very subtle manner. One could argue that in real life, facts, fiction, figures and images are thrown at us in no particular order or form, yet we accept these interactions naturally and make sense of them. Why then should a novel be criticised for imitating life this closely or for not sticking to a safe, conventional and easily accessible form? 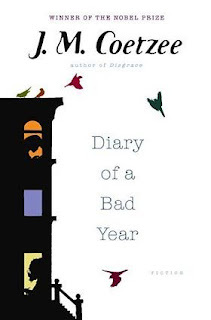 I’ll admit that Diary of a Bad Year is no Disgrace or Barbarians, or even a Michael K. But it is another fascinating novel that contains the philosophical and emotional insights of a sensitive intellect. And, poignantly, it has a melancholic tone of finality, as if the novel were a farewell performance. However, I’d be disappointed if Diary of a Bad Year turns out to be Coeztee’s last novel for it does not possess the balance and the significance that should sum up such an illustrious literary career. The perfect coda, I think, still remains within him. FORMER POSTWOMAN Catherine O’Flynn has won the 2007 Costa First Novel Award for her novel, What Was Lost (2007). 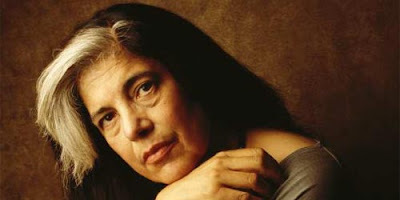 She was longlisted for the Booker Prize and the Orange Prize and shortlisted for the Guardian First Book Award. The judges believe it to be a formidable novel blending humour and pathos in a cleverly constructed and absorbing mystery. Historian Simon Sebag Montefiore won for his exhaustively researched biography of Joseph Stalin, Young Stalin (2008), evoking the early life of the Russian dictator. A.L. Kennedy won for best novel with her book, Day (2008), and is hotly tipped to win the 2007 Costa Book of the Year Award later this month. Ann Kelley won for the Children’s Book Award for her moving account of a 12-year-old living in St. Ives awaiting news of a heart-transplant surgery, The Bower Bird (2008) while Jean Sprackland won for the poetry category for her third collection of poetry, Tilt (2008). A VERITABLE SMORGASBORD of literary delights to usher in the new year. Literary heavyweights Martin Amis, Sebastian Barry, Peter Carey, Amitav Ghosh, Hanif Kureishi, James Meek, Orhan Pamuk, Salman Rushdie and Tim Winton are all back with new novels. Pulitzer Prize-winning writer Jhumpa Lahiri has a new collection of stories called Unaccustomed Earth (Alfred A. Knopf, 2008). 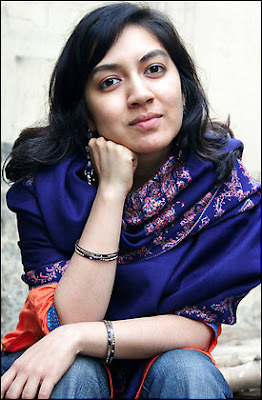 Lahiri, of course, is the author of Interpreter of Maladies (1999) and The Namesake (2003). Annie Proulx has one, too: Fine Just the Way It Is (Simon & Schuster, 2008). The most recent Man Booker Prize-winner Anne Enright has a new collection stories out: Taking Pictures (Jonathan Cape, 2008). I am really looking forward to reading Manil Suri’s The Age of Shiva (W.W. Norton, 2008) after enjoying his first novel, The Death of Vishnu (W.W. Norton, 2001). There are two Malaysian writers making their débuts: Preeta Samarasan’s Evening Is the Whole Day (Fourth Estate/HarperCollins, 2008) and Chiew-Siah Tei’s Little Hut of Leaping Fishes (Picador, 2008). John Banville is back in his other incarnation as crime novelist Benjamin Black. Louise Dean, the author of Becoming Strangers and This Human Reason, is also back with The Idea of Love (Fig Tree, 2008) sometime in the middle of 2008. It is interesting to imagine that we have found our 2008 Booker Prize for Fiction winner among these new books? From Martin Amis and Paul Auster to Gerard Woodward and Adam Zagajewski, from novels and short-story collections to poetry and nonfiction, these are just some of the good stuff coming our way in 2008.